The Annenberg School of Journalism offers a transformational educational experience that encourages students to think critically, write effectively, and master the new and emerging technologies required for creative, compelling and impactful 21st-century journalism. USC Annenberg’s Media Center is a high-energy news hub that is the center of our program, with broadcast TV, digital video and radio studios, network-quality control rooms, editing suites, and social-stream monitoring technologies. 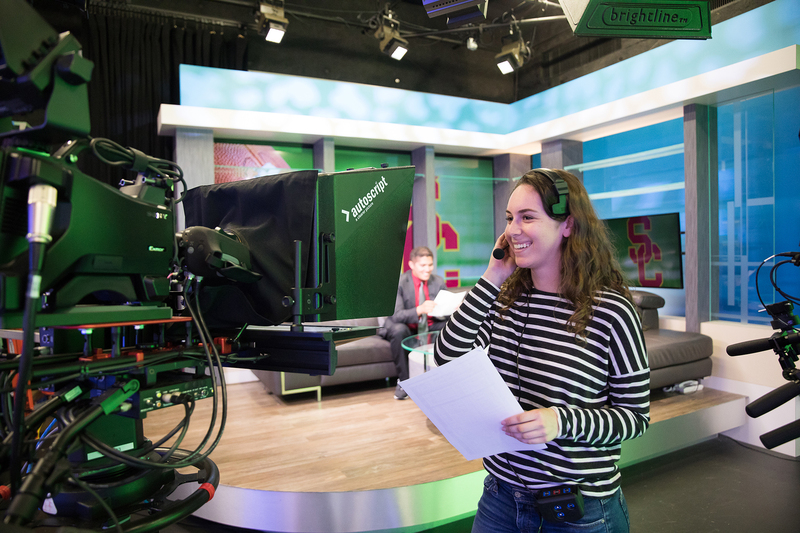 The USC Annenberg School of Journalism offers an innovative and forward-looking Bachelor of Arts degree program, effective for all undergraduate journalism students entering USC in the Fall of 2016. The Accrediting Council on Education in Journalism and Mass Communications (ACEJMC) is the agency responsible for the evaluation of professional journalism and mass communications programs in colleges and universities. The Council endorses professional education that recognizes and incorporates technological advances, changing professional and economic practice, and public interests and demands. Click the link below to learn about USC Annenberg’s official accreditation.